Rob Liefeld (born October 3, 1967) is an American comic book writer, illustrator, and publisher. A prominent artist in the 1990s, he has since become a controversial figure in the medium. 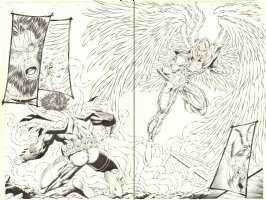 In the early 1990s, the self-taught artist became prominent due to his work on Marvel Comics' The New Mutants and later X-Force. 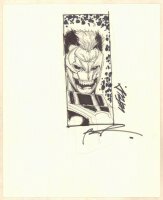 In 1992, he and several other popular Marvel illustrators left the company to found Image Comics, which started a wave of comic books owned by their creators rather than by publishers. The first book published by Image Comics was Rob Liefeld's Youngblood #1.